Creating unique business cards is a challenge for business owners who are looking to make their company stand out. Small business owners face the additional challenge of building brand recognition through their business cards. If you are a small business owner, you may be interested in hearing some tips on how to create unique business cards. To find out more about how you can create something memorable that will keep customers and clients coming, keep reading below. When you think of a traditional business card, it is likely that you picture the average rectangular stock that easily fits in a wallet. If you are willing to take a risk, consider changing this aspect of your business cards to make them more special. Changing the shape to something that represents your brand can make it stand out. Additionally, it can help millennial customers identify what your shop or company has to offer. For example, if you own a bakery, going the extra mile to have cupcake shaped business cards can make a big difference. If you want to make unique business cards, you may want to give them a dual purpose. Passing out something that is fun and functional can be the perfect way to draw in customers. If you own a local bar and are thinking about how to franchise the business, consider making a card that doubles as a bottle opener. It may be more expensive to create these types of cards, but they are guaranteed to get people interested. More so, it could be signature of your brand. Creating something that people can actually use is an ideal tactic for unique business cards. Every business card requires a checklist of information. Your business name, number and address are essential if you want t bring people in. However, the way you present this information can also improve your ability to stand out. Try integrating your brand into the textual design of the card. For example, if your business focuses on technology, write out your information in a coding format. That way, when people look at the card for your name and number they will instantly be reminded of the services or products you provide. While many small business owners can get caught up in the design of their card, it is also important to focus on the text. Aside from the average information that everyone needs to know, the text on your business card can make a huge impact on its originality. A special slogan, phrase or joke on your card is the easiest way to capture someone’s attention. Make sure that you take the time to add in some words about your business to ensure that customers take notice. Finally, the best thing that you can do to create unique business cards is to research others in your area. Collect business cards from other stores, spa businesses, restaurants and companies. If you want to stand out, it is a good idea to know exactly what others are doing. Once you have a clear idea of what your local businesses have done, you can develop a unique design. If you are a small business owner, it is important that you create unique business cards. This is the best way for you to build and share your business with the world. In order to make your company card special, consider a functional design or an unconventional shape. 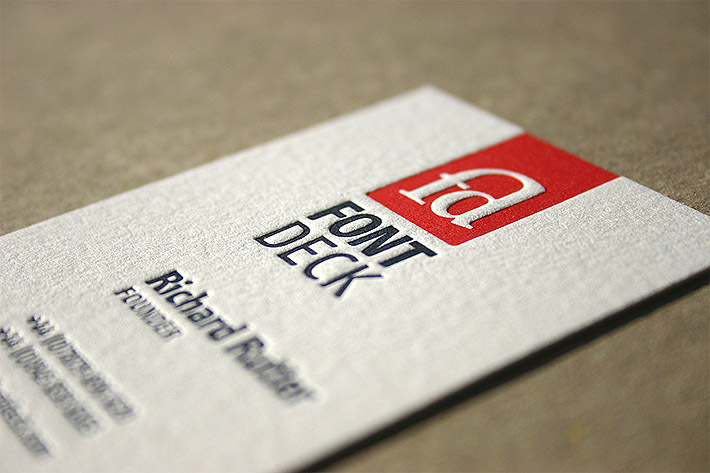 By following these tips above, you can ensure that your business cards are entirely unique.